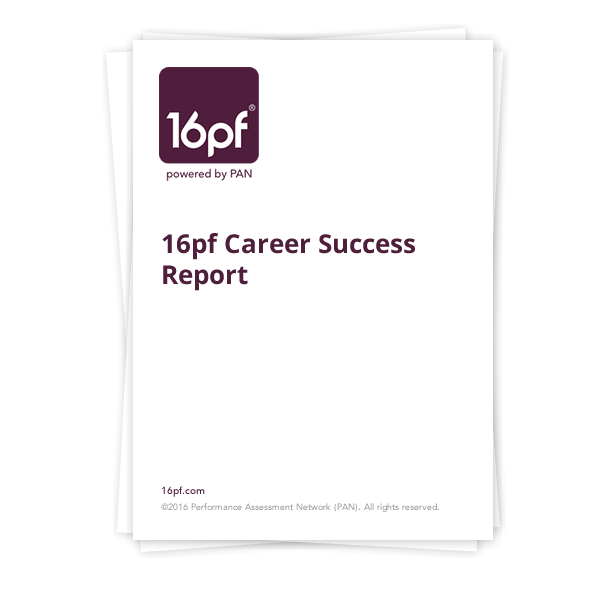 PAN’s 16pf Career Success Report provides students with research-driven career interest feedback and practical personality information that can be used to increase self-knowledge and lead to a successful college experience. The report is generated from the 16pf Questionnaire, a powerful tool for counselors and advisors who recognize the value of considering an individual’s unique personality when investigating potential career choices or vocations. Interested in examining the overall traits of your students or particular groups of students? Contact us about a group-level profile.